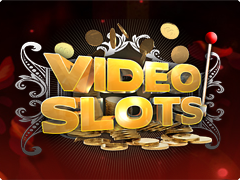 When it comes to the extraordinary themes of the slot machines online Endorphina company is the leader in this sphere. 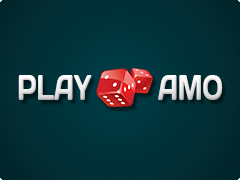 Shaman slot game is the next fabulous creation of this unique casino software provider that is dedicated to the theme of the shamans. They always gather the special skills and knowledge. Shamanism is the ancient religious traditions of the mankind that lead to the birth of new world’s religions. So, shamans are the people who can speak with the spirits. Endorphina created this interesting online slot in order to move gamblers to the snowing picturesque views of the north. Here you are going to plunge into the atmosphere of wild nature with the strong frost and polar lights. However, the lovers of the hot emotions can try hands at Twerk slot game, featured by beauties and big winnings. The set of the gaming symbols is styled according to the theme: wolves, shaman girls, windows and other attributes. The most expensive is the symbol of the shaman that is going to present up to 1000 coins. Among specials, you will meet only one – Wild. It is represented in the form of the shaman’s picture with the full moon. It will replace other symbols and helps to create winning combinations. As you may notice providers did not add Scatters or Bonuses. However, there is a Risk Game that includes 10 rounds. On the gaming screen slot machine will open one card and the gambler has to choose one from 4 closed cards. So, you have to pick up the higher card than the dealer has. The mysterious storyline is the main gimmick of the Shaman slot that you can play for free or real money. That is why if you prefer cold, snow and rituals then you have to choose this Endorphina’s video slot. Good Luck!